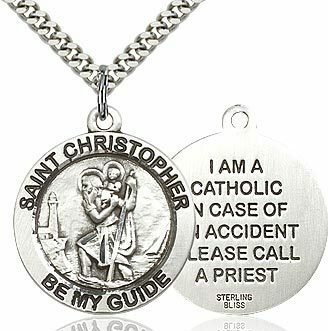 Sterling Silver St. Christopher Pendant on a 18 inch Sterling Silver Lite Curb Chain. Back side of medal: I am a Catholic. In case of an accident, please call a priest.